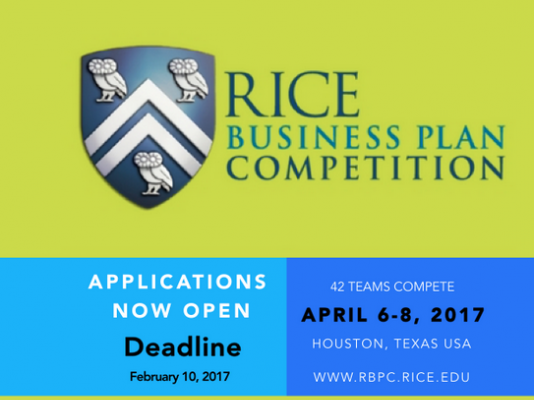 The 2017 edition of the Rice Business Plan Competition – the world’s richest and largest graduate-level student startup competition, is here as receipt of applications from all over the world has commenced. Eligible to apply for the Rice Business Plan Competition is any student startup team in any industry, from any university and in any degree program. Secondly, there must be at least one graduate-level student on the team, and the team cannot have passed certain milestones. 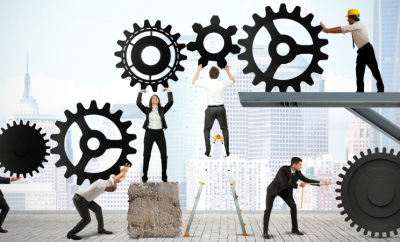 In addition to this the teams should have a technology component in one of 3 broad sectors: energy and cleantech, life science/biotech, information technology, and technology innovation (for those startups which don’t fit neatly in another category). Finally, students in post-doc or certificate program will not be accepted for the competition. Some of the benefits for the winning teams include; world-class mentoring and training from experienced investors and entrepreneurs, scheduled opportunity to meet and network with venture capitalists and investors, over $1.5m to be won in cash prize by winning teams. The Business Plan Competition between 42 teams from all over the world will last for a period of 3 days between 6th – 8th of April, 2017 consisting of different pitching events. Application for this competition will close on the 10th of February, 2017 by 5pm CST. Interested teams can click here to apply.